Nicole Richie and Joel Madden attended the 1st Annual Noble Humanitarian Awards on Sunday (October 18) in Beverly Hills. Joel Madden won an award for his work with the Art of Elysium, the award was presented to Joel by Nicole and her Father Lionel Richie. Benji Madden also attended the Noble Awards event. "Congratulations @joelmadden who got a philanthropic award at the Noble Awards tonight. His work is genuine, inspiring, & admirable." OK! Magazine also got to chat to Joel on the night of winning the award. He also told OK! that Sparrow is just your typical newborn. Nicole Richie was looking as fabulous as ever & i am loving her slightly darker blonde hair. On the evening of the Noble Awards, Nicole Richie wore a stunning gold dress by Jasmine Di Milo - Spring 2007 collection. 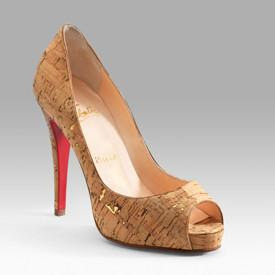 Nicole Richie also wore a pair of cork Christian Louboutin very Prive peep toe heels. ... well, I dont think its the hairstyle or the make up. She has worn her hair and this kind of make up before. And I still miss the bangs.